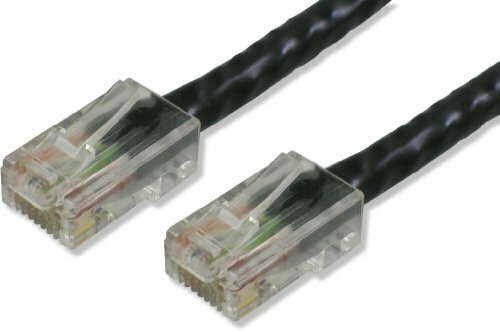 Category 6 550 MHz High Performance 10-Foot Black Patch Cable, No Boots, 5-Pack. 4 pry copper stranded 24AWG conductors. High performance 8 position CAT6 RJ45 connectors. Meets TIA/EIA 568 A/B Requirements. Available in 3, 5, 7, 10, 14, and 25-Foot Cords. Flexible Vibrant PVC Jacket available in Blue, Black, Red, Green, Yellow, White and Grey. If you have any questions about this product by Lynn Electronics, contact us by completing and submitting the form below. If you are looking for a specif part number, please include it with your message.